Tablet sales are starting to stumble. Although worldwide tablet sales increased by 4.4 percent this year for a total of 229.6 million units, Q4 saw the first year-over-year sales decline – 3.2 percent – since the devices first became popular in 2010, according to the International Data Corporation (IDC). As expected, Apple and Samsung drew in the largest sales by far, with 21.4 million and 11 million units shipped, respectively. Although Apple continues to dominate with 28 percent of the market share, its overall sales declined by 17.8 percent. In fact, four of the top five companies saw significant declines. Lenovo was the only company to escape the negative results, seeing a 9.1 percent increase over 2013 thanks to its influence in Asia and a portfolio covering both Android and Windows offerings. Amazon took the largest hit by far. 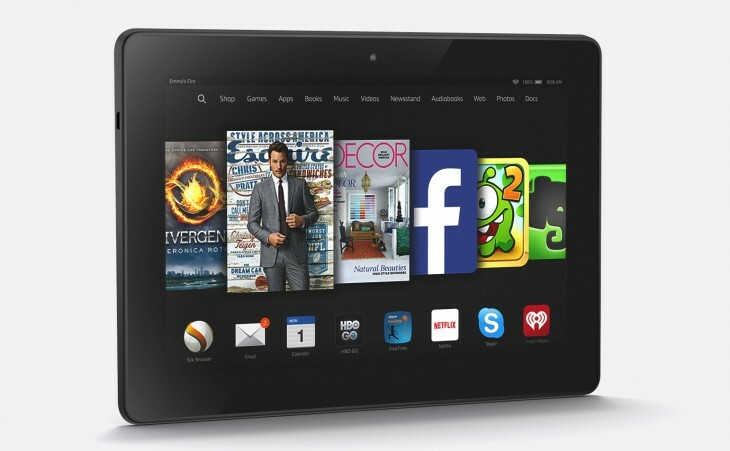 The company shipped nearly 70 percent less tablets compared to the previous year, despite having introduced an updated Kindle Fire HDX 8.9. Consumers likely felt the company’s products didn’t offer enough functionality or app compatibility over competitors. While the tablets were cheaper than offerings from Apple, they still had to battle similarly priced Android tablets. It’s worth noting that the IDC didn’t include sales of Amazon’s new 6-inch budget tablet, as it doesn’t fit the corporation’s definition for the category, but doing so likely wouldn’t have majorly altered the numbers. There are phones with screens as large after all, and these devices may be partly to blame for decreased tablet usage. Apple’s iPad sales were likely hurt by two new larger iPhones, particularly given its newest tablet offerings didn’t offer much to differentiate them from the previous generation. Tablets occupy an important space between phones and laptops, but as buyers want larger phones and laptops become more mobile, companies will have to do more to convince future consumers they need a tablet in addition to their other devices.